TRIBUTE - This beautiful example of automotive art was produced in the workshops adjacent to Herstmonceux Museum. It is one of the few racing cars to (legally) bear the famous blue bird legend that is a registered trademark to protect against imitations of the battery cartridge recharging system and other design features that made this car so special. The BE3 was based on the same frame and transmission arrangement as the BE2, except that the driver sits in a rear cockpit, rather than at the front. The main frame design is the same, with subframes added at the front or rear depending on seating preference. The rear driving position gives the car a look similar to the Malcolm Campbell cars that were designed by Reid Railton, sporting Rolls Royce Merlin V12 engines that also powered the Spitfire, Hurricane and Lancaster aircraft during World War Two. So, high hopes for the future of the brand that inspired so many generations of youngsters to become engineers. We must learn from the past to be able to plan for the future - and that is why museums like ours are so important culturally and socially. Herstmonceux Museum is one of the smallest in the UK, potentially qualifying for a Guinness Book World Record one day. 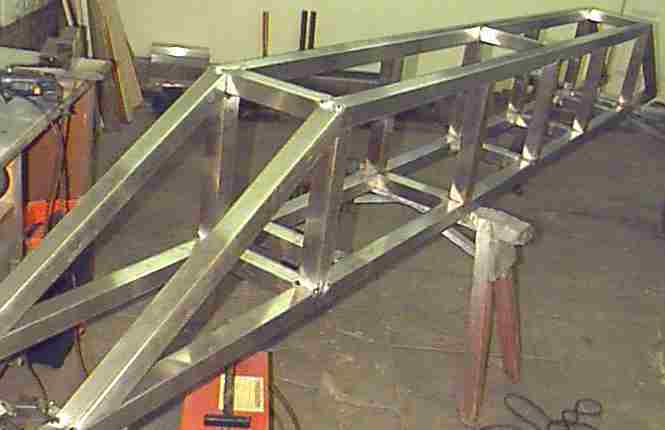 BE3 FRAME - The chassis of the electrically powered bluebird car is made from corrosion resistant steel tubing that is arc welded using high nickel content welding rods and TIG and MIG welding equipment. Herstmonceux Museum, including Campbell Hall, is run by the Lime Park Heritage Trust and other not for profit concerns. The plans to admit the public to the site have been abandoned because of the additional administrative burdens and cost where Wealden District Council are not cooperating to help us allow access, but are rather hindering progress, not unusual, as many local businesses and farmers will agree. We recall the case of the soldier helped by crusaders Noel Edmonds and Keith Chegwin, with backing from Gordon Brown and David Cameron - and the 8,000 strong petition that was generated where public feeling was so strong. The good news is that in the digital age we are planning a virtual tour - hoping that no onerous regulations might crop up for us to allow that to go ahead.